Despite the long-term clinical and radiographic success that has been reported with total knee arthroplasty (TKA), failures related to the articular bearing surface continue to be one of the most significant factors that limit survivorship of TKA implants. Many variables influence wear and bearing surface failure,including factors related to the patient,the surgeon,and the implant. 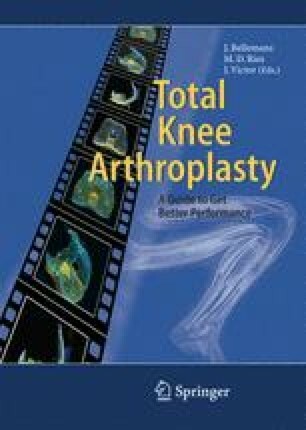 Future efforts should be directed at changes in the materials, implant design, sterilization methods, and surgical technique that could potentially lead to improvements in wear properties and an overall reduction in the incidence of bearing surface failures in TKA.